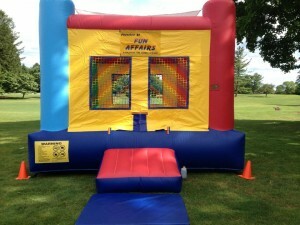 Here at Fun Affairs, we specialize in a wide variety of event entertainment options for any and every type of event. We have activities that are fun for people of all ages, from bounce houses to personalized wearables, interactive games, clowns, magic tricks, caricatures, and much more! So make your event special and choose from our many group activities, entertainment, and birthday party rentals! Need event activity ideas that are fun for everyone? For your next party we are your best choice for entertaining your friends and family. There’s a wide variety of bounce houses, from tigers, twister, basketball, and tradiitonal bounce house. These are very popular with kids parties today and we don’t stop there. We have the best birthday party rentals and games around for you to use at any event including plinko, a money machine, and TV style games. We have it all! Look around our site or give us a call with any questions.